On December 18th, NTELS held a public seminar on case studies of energy-efficient IoT-enabled services for public buildings, co-hosted by Suwon City and sponsored by Ministry of Science and ICT., National IT Industry Promotion Agency and Korea IoT Association. In this seminar, NTELS and Suwon City presented case studies of real-time energy consumption monitoring for 50 government office buildings in Suwon powered by IoT and big data generation & analytics powered by AI that have been conducted from June to December of this year, targeting 50 government office buildings in Suwon City to maximize their energy efficiency. Public agencies, including Gwacheon City and Korea Environment Corporation, and large companies, including Samsung Electronics and SK Telecom and KT, have attended the seminar. 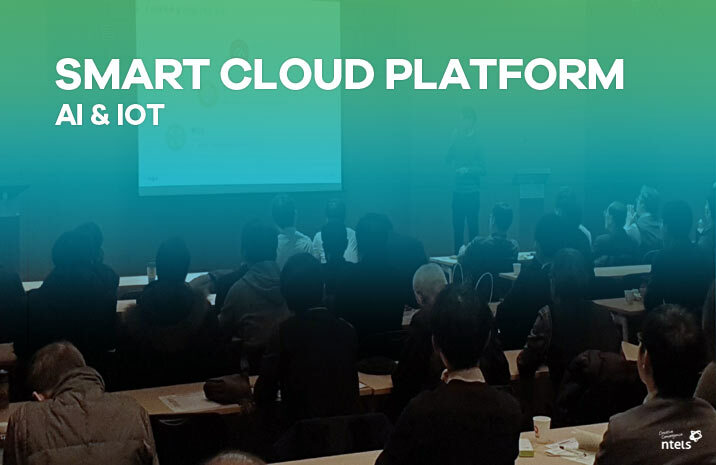 As the technical service provider of this project, NTELS illustrated case studies of smart building-energy-city platform powered by IoT & AI and presented energy demand forecasting based on deep learning. Public Building Management Team of Suwon City presented the overview of AI- & IoT-enabled energy efficiency management services for public buildings.